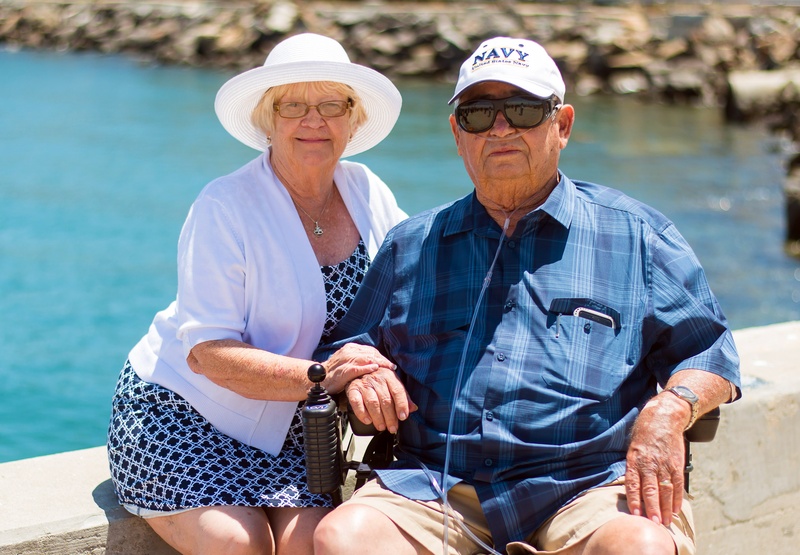 Enrollees of Medicare often find themselves without the coverage they need. There are a lot of holes left in coverage when only enrolled in Medicare Part A and Medicare Part B, also known as Original Medicare. There are two ways that these gaps can be filled: Medicare Advantage or Medigap. Although the two options are similar in that they offer health coverage beyond the generic hospital and physician benefits of Original Medicare, they are vastly different Medicare options. Medigap plans are supplemental insurance plans that are enrolled in to fill in the voids left by Original Medicare alone. There are ten different Medigap plans that beneficiaries can enroll in, plans A, B, C, D, F, G, K, L, M, and N. Each lettered plan offers the same coverage know matter what insurance company it is purchased from. All the plans with the same letter however offer the same exact coverage. Premium scan vary depending on where the plan is purchased through. No matter which state in the United States you live in, other than Wisconsin, Massachusetts, and Minnesota, the coverage you will receive in each of the lettered plans will be the exact same. Medicare Advantage Plans can be chosen over Original Medicare. Medicare Advantage Plans offer more comprehensive coverage but under stricter guidelines. With MA, enrollees receive the same set of benefits, often more than, they would with Original Medicare however under different rules, costs and restrictions. Most often Medicare Advantage Plans require that you see certain in network providers, receive referrals for specialists, and might offer extras not found with Medigap such as vision and dental care. If you decide to enroll in one of the plans over the other and later decide this is not the coverage that best suits your need you can switch during periods of open enrollment. There are a number of rules to familiarize yourself with when choosing coverage for your health care needs as you age. The experts at eMedicare Supplemental Insurance, powered by Omega, have all the answers you are looking for when it comes to your Medicare Supplemental Insurance needs. More information can be found at https://emedicare-supplemental-insurance.com/. In our first installment we answered some basic questions to give enrollees some basic knowledge on how things worked and what they should know about Medicare even before talking with a Medicare Agent. In this installment we will continue covering the basics to further help bring a better understanding to the topic of Medicare, Medicare Advantage, and Medigap Supplemental Insurance. As previously mentioned, there are two options to choose from when initially enrolling in Medicare, Original Medicare Part A and Part B with Medigap and Medicare Advantage. A basic understanding to this is that Original Medicare offers basic coverage and Medigap plans are used to supplement the basics. Medicare Advantage however takes the place of Medicare and is run privately. Most often Medicare Advantage plans offer lower premiums for more restrictions such as networks, annual plan changes, and having to receive pre-approvals for services. It is important of participants are going to choose Original Medicare with Medigap Supplementing their choice that they enroll right away. Waiting can lead to higher premiums and having to qualify for a Medigap plan. Guaranteed enrollment in a Medigap plan only occurs during the initial enrollment period. Although you do not need to enroll in Medigap Plan D when you enroll in Original Medicare, it is the only Medigap plan that offers prescription drug coverage. If you change your mind after the open enrollment period, you will be subjected to a late enrollment penalty. Coverage in most markets starts around $15 to $25 a month. It makes sense to enroll when you first can because the late enrollment penalty adds up quickly and can have you quickly paying 60% more for the same coverage as someone else. When is comes to choosing a Medigap plan it is important to talk with a Medicare Agent to compare coverage and costs of each plan. Available coverage is the same no matter where you live. Medigap Plan F in Michigan offers the same coverage as it does in Texas. The difference from state to state and even county to county is the price you will pay. The price is set by the private insurance company that is offering you the coverage thus the changes in costs from company to company. The best company will be the company that offers you the coverage that you need at a price that is acceptable for your budget with unparalleled customer service. The experts at eMedicare Supplemental Insurance, powered by Omega, have all the answers you are looking for when it comes to your Medicare Supplemental Insurance needs. More information can be found at http://emedicare-supplemental-insurance.com/. It is so important that Medicare enrollees are educated before it comes time for them to enroll. Although there are several companies where you can speak one on one to Medicare agents it is important for participants to have some basic knowledge to avoid confusion when talking to a specialist. It is important to have a basic understanding of generic terms, time frames, and available options in order to hit the ground running when you speak to an agent. Signing up for Medicare is simple and complex, as much of a conundrum as that is. The actual process of being enrolled in Medicare is simple, the first day of the month in which you turn 65 is when you must act to enroll in Medicare. There are a few options that need to be considered: are you going to opt in to Medicare Part A and Part B, known as Original Medicare so that you can also enroll in supplemental plans such as prescription drug coverage and Medigap or are you planning on choosing from one of the many Medicare Advantage Plans, HMO or PPO? It is also a crucial point to note that beneficiaries of social security will automatically be enrolled in to Medicare Part A, however if you have not participated in SS and want to participate in Medicare you are still allowed to but will need to enroll. You can do this online, in person at a Social Security office, over the phone by calling 800.772.1213 or online at https://www.ssa.gov. As many of the answers do when it comes to Medicare, the cost will vary depending on your unique situation. Medicare Part A is free of charge if you have worked 10 years and paid into the system through your payroll taxes. Medicare Part B has a premium which can be deducted from your Social Security check. For 2017 the monthly premium was $134.00. Certain situations will allow you to pay less of a premium for Medicare, mainly your income. If an Income-Related Monthly Adjustment Amount applies to you your premium will be decreased. There is a myth circulating that states Medicare doesn’t cover preventive services however, this is not the case. Medicare covers a complete physical upon enrolling in Medicare and then a once a year annual exam as well as screening and tests on a schedule that Medicare determines along with the assistance of physicians. Some of the screens included are: mammograms, colorectal cancer, glaucoma, flu shots, prostate exams, and more. We will continue this discussion and answering important Medicare questions and concerns in our next installment of, Getting to Know Your Way Around Medicare. What’s the difference between Medigap and Medicare Supplemental Insurance? Is Medigap Plan F the same as Medicare Supplemental Insurance Plan F? What does each of these plans offer me in terms of coverage? These are just a few of the many questions that enrollees ask when first becoming eligible for Medicare. Thankfully, we have all the answers you will need! There are absolutely NO differences between Medigap and Medicare Supplemental Insurance Plans, they are in fact synonymous for the exact same type of health insurance. Each of these ten standardized plans are offered by private insurance carriers and were put in place to help cover some of the out of pocket expenses that are not covered under Medicare Part A and B.
Medigap insurance plans work in conjunction with Medicare Part A and B to help with out-of-pocket expenses such as deductibles, copayments, and co-insurance amounts. Medicare Part A and Part B pay its share of Medicare approved expenses that patients receive. In order to enroll in Medigap you must be enrolled in both Medicare Part A and Part B. One of the benefits that come along with Medigap is knowing that no matter where you purchase your insurance plan from it provides the same coverage. Medigap Plans are regulated under both federal and state laws in order to protect enrollees. Each policy must be identified as a Medicare Supplemental Insurance Plan which is identified by a letter. Not every insurance company allowed to provide Medigap will offer each of the ten standard plans. You will want to make sure the plan that you want is available through the carrier. The amount you will pay, the cost or premium, will vary amongst insurers even though they are all offering the exact same coverage. Open enrollment for both Medicare Part A, Part B, Part D, and Medigap (Medicare Supplemental Insurance Plans) begins on the first day of the month in which they turn 65. This period will last for 6 months. This allows you to apply for coverage without worry that you will be turned down during medical underwriting. Medicare open enrollment runs from October 15, 2018 to December 7, 2018. Open enrollment is the period in which current Medicare enrollees can adjust their current coverage. Participants can move from Original Medicare to Medicare Advantage or vice versa, change Medigap plan coverage, and more. Many people believe the best thing about turning 65 is that they become eligible for Medicare. Obtaining health insurance without worrying about pre-existing conditions, your age, your overall health, and more is something that we all covet. It is important, when enrolling in Medicare, to be cautious of what you need to do and when to avoid some expensive pitfalls that can add to the cost of your premiums as well as medical expenses. These pitfalls can be avoided by making smart decisions when it comes to your Medicare coverage. Right now, during open enrollment, participants are in the ideal position to ask questions, gather information, and make the vest decisions on their health care coverage. Medicare is medical insurance however it is not like the health insurance that is provided by your employer. With employer sponsored health care plan participants most often pay one premium for their comprehensive insurance plan. Once this is paid, the participant is then required, in most cases, to cover their yearly deductible and regular co-payments and that is as tricky as it gets. That is not the case with Medicare. Medicare insurance is offered in a number of different combinations. Traditional Medicare, Plan A and B, cover hospital and outpatient services. Each has its own premium, own deductible, and own copayments. Many enrollees assume this is all the health insurance coverage that they will need. This is however, not the case. Medicare Part A and Part B are not comprehensive medical insurance plans. There are gaps that need to be filled in such as prescription drug coverage, overseas medical coverage, and other out-of-pocket expenses. To fill in the gaps that are left by traditional Medicare Part A and Part B participants have the opportunity to enroll in additional insurance plans, Medigap. Another major difference to note between employer sponsored health care and Medicare is the out of-pocket limits. With most employer-sponsored plans there is a limit to the amount of money, out-of-pocket, that participants will have to pay, a cap. This is not the case with Medicare. With Medicare coverage there isn’t a cap to the amount of money that participants are expected to cover. Again, this is a pitfall that is easily taken care of with the purchase of additional Medigap coverage. Medigap, or Medicare Supplemental Insurance as it is also known, are plans that reduce the out-of-pocket costs participants are required to pay. During open enrollment you are allowed to change plans if a different Medigap plan will better suit your situation or choose a Medigap plan to enroll in if you have not previously done so. Medicare has under gone a number of changes since it originated in 1965. With over 60 million participants Medicare continues to have the highest satisfaction rate of any form of health insurance available. With every year that passes, Medicare and Medigap keeps getting better and 2019 is no different. Some of the modification that Medicare is making only affect individuals enrolled in Medicare Advantage plans while other updates will affect all beneficiaries. One unappealing element of Medigap Plan D, prescription drug coverage is that once participants have reached a certain level of spending in a year they are required to pay more for the prescription medicine they need. This creates what is known in Medicare lingo as a “donut hole”. A second threshold is in place that once reached participants are then “rewarded” with lower cost prescription drugs. This feature of Medigap Plan D was scheduled to be closed in 2020 however, Congress passed a bill that will close the donut hole for brand name prescriptions in 2019. The gap for generics is still scheduled to close in 2020. Congress has repealed the therapy cap limiting coverage to outpatient physical, speech, and occupational therapy services. Original Medicare enrollees will not longer be required to pay the full cost of therapy services. The Medicare handbook is sent out to its enrollees every fall. As if 2019 the handbook will be updated to include checklists and flowcharts to help participants make decisions on coverage decisions. The Medicare Plan Finder will be included online and updated to make it simpler to use. Enrollees will also have a chance to compare out-of-pocket costs and coverage options between Medicare and Medicare Advantage with updated online coverage tools. All methods of technology are advancing, and Medicare is using this to their advantage with increased telehealth programs. These programs allow patients to confer with doctors and nurses over the internet. Telehealth services will be covered in 2019 for people with end-stage renal disease and stroke treatment. For enrollees in Medicare Advantage there will be the option to have meals delivered to their home, transportation to the and from the doctors, and the installation of safety devices like bathroom grabs bars and wheelchair ramps. For home safety improvements and prepared meals to be covered a medical provider will need to recommend them. In 2019 Medicare Advantage plans will also have an option to pay for home health aides. These aids assist in everyday activities such as dressing, eating, and personal hygiene. This is part of a broader definition of traditional services required by Medicare. Participants will now be able to try the Medicare Advantage plan for three months. If they aren’t satisfied they can switch to Original Medicare Part A and Part B or another Medicare Advantage plan. Health coverage through Medicare only covers 80% of the total costs which leaves you to cover, out of pocket 20%. In order for Medicare Part B to begin paying it’s 80% you must reach the yearly deductible. Depending on the Medicare Supplemental Insurance Plan you choose the extra 20% will be partially covered. Some Medicare Supplement Plans offer coverage outside of the U.S. in case of an accident or unexpected illness. If you find that you travel outside of the United State on a regular basis it is important to purchase a Medigap plan that covers your health care needs outside of the country. If you apply for Medigap within your open enrollment period (six months after the 1st of the month in which you turn 65) coverage and rates are guaranteed. This means that it doesn’t matter what illness you bring to the table, Medicare and Medicare Supplemental Plans are guaranteed to accept you for coverage. This is just one of the reasons it is important to enroll during the open enrollment period. After this time, insurance companies can deny you coverage or increase your rates, on top of a late enrollment penalty that you will be responsible for. No matter what health problems arise, all standard Medigap plans are assured to be renewable to you. This means that no matter what you are diagnosed with insurance companies cannot deny you plan coverage as long as you make the premium payments. Your policy renews automatically each year. When you purchase Medicare Supplemental Insurance you will be covered when you visit doctors that participate with Medicare. The only exception is Medicare SELECT. This is a type of Medicare Supplemental Insurance that requires use of select medical providers and hospitals within the network. Medigap offers 10 different plans to choose from to help Medicare enrollees pay for expenses not covered by Original Medicare costs. Medigap plans that offer the most coverage also have the highest monthly premiums whereas the opposite is true with lower premium Medigap policies. There are ten different Medigap policies. The plans are standard throughout the U.S. and are regulated by the law. Plan benefits are the same from state to state meaning that the Medigap Plan F coverage in Michigan is the same as Medigap Plan F coverage in Texas. In Massachusetts, Minnesota, and Wisconsin standardized plans are a bit different. Both Medicare and Medicaid are both health care programs sponsored by the government, many people mistake the two for being the same. This is of course, not the case. Medicare is a federal health care plan that is available to enrollees over 65 years of age. Medicaid is a jointly funded health care program that is funded at both the state and federal level and is intended to supplement a need for coverage in lower-income families and individuals. As stated earlier, Medicare is a program that supplies health insurance to individuals who have attained 65 years of age. Qualification for Medicare comes when a participant or their spouse has worked at least ten years and paid Medicare taxes. Medicare covers the basic health care needs of enrollees. Medicare breaks down into multiple parts: Original Medicare (Part A and Part B), Medicare Advantages, Medicare Supplemental Insurance Plans, and Medicare Part D, prescription drug coverage. Medicare Part A and Part B cover most health insurance needs. Voids and gaps in coverage are filled with the purchase of additional coverage in the form of Medigap Plans A – Z. It is important to note that Medicare/Medigap do not cover vision, dental, or hearing. Coverage for the services will need to be purchased separately from any Medicare or Medigap policies. Medicaid aids low-income families and individuals with health care assistance. Coverage is funded through both the state and federal government and is available to people of all ages. The requirements that are needed to qualify for Medicare vary greatly depending on where you live. Medicaid is eligible for Medicaid if they meet certain requirements such as passing a necessity test, an asset test, and an income test. Medicaid offers additional coverage that Medicare does not such as dental coverage, vision, and hearing care. Medicaid also covers prescription drugs without having to add additional coverage. To check availability in your state, check out the Medicaid website. The biggest difference between Medicaid and Medicare don’t stop at funding. Coverage between the two vary a great deal as you can see from above. Medicare doesn’t offer coverage for dental, vision, or hearing. Medicare doesn’t have financial limits on who qualifies and who doesn’t. It is possible to have dual-eligibility. This means that a participant is over 65 and has met the financial or medical eligibility requirements associated with enrollment in Medicaid. What is Medicare Supplemental Insurance, Medigap? Once you have enrolled in both parts of Original Medicare, Part A and B, you will be eligible to purchase insurance that supplements your health insurance coverage that fills insurance gaps left by Part A and Part B. The supplemental insurance plans are known as Medigap or Medicare Supplemental Insurance. Why do you need Medicare Supplemental Insurance Plans? There are a couple of reasons you may need to purchase Medigap including filling in the gaps left from what Medicare Part A and Part B don’t cover and for assistance with costs that are not covered by Medicare. How does Medicare Supplemental Insurance Plans work? There are ten different supplemental plans that are regulated by Medicare and our federal government. Medigap plans are labeled Plan A through Plan N alphabetically. Only certain plans are available depending on where you live in the United States. The plans are all standardized and offer the same benefits no matter where they are purchased, meaning Plan A in Michigan offers the same coverage as Plan A in Texas. There are changes however in the premiums paid and the insurance companies that are permitted to sell them. Qualify: If you are over 65 years of age, are enrolled in Medicare Part A and Part B, are 6 months from the first day of the month you apply for Medigap your acceptance in Medigap is guaranteed. If you enroll in Medigap during this period, open enrollment, of time then there is no need to have a medical examination to obtain coverage. Coverage: Original Medicare Part A, Part B, and Medigap coverage applies to only one person. Your spouse will need to have their own policy, separate from yours. Purchase: Medigap participants may purchase plans from any private insurance company that is licensed in your state. Payment: The monthly premium that you pay for Medigap is paid directly to the private insurance company. The payment is in addition to any premium that you are required to pay for Medicare part B. The payment for Medicare part B is paid directly to Medicare. Not Covered: There are certain things that Medigap doesn’t cover such as: long-term care, vision, dental care, hearing aids, eyeglasses, or private-duty nursing. Return Policy: You have the right to cancel your Medigap insurance policy without penalty within 30 days of purchase. Renewable Plans: Medigap insurance policies are guaranteed even if you have health problems during the period in which you were covered. This means insurance companies are not able to terminate your Medigap policy as long as you continue to make the monthly payment for the premium. Preventative Maintenance: Medicare pays for the entire proposed medical service if it is deemed it will help avoid future health issues. If the doctor you are seeing accepts the amount that Medicare approves for the service, you will not have to pay a penny for the preventive services. Prescription Drug Coverage: Up until 2006 many Medigap plans covered prescriptions however, as of January 1, 2006 Medigap plans are no longer allowed to offer prescription drug coverage. If you want prescription drug coverage you will need to purchase Medigap Part D, which offers this coverage at an additional premium. Three months before you turn 65 you should receive a packet of information that tells you exactly what you need to do during Medicare open enrollment to insure coverage. Open enrollment only lasts for three months before the month you are set to turn 65 and for three months after. If you choose to enroll in Medicare outside this period, you will be subject to a late enrollment penalty. There are four different parts of Medicare which each have their own penalty for late enrollment. These four parts are: Medicare Part A, Medicare Part B, Medicare Advantage, and Medicare Plan D. There are penalties for each separate part of Medicare if you choose to enroll late. Most likely you will automatically qualify for Medicare Part A when you turn 65. If you do automatically qualify, often there is not premium. Automatic coverage occurs for recipients who have, or who have a spouse who has, worked at least forty quarters in the United States. This equates to ten years of employment in the U.S. If you have not met this qualification, then when eligible you will be required to pay for premium for Medicare Part A. If you choose not to at the time, waiting until a later date, your premium will increase monthly by 10%. The increased premium will need to be paid for double the number of years you could have had Medicare Part A but did not choose to sign up. Medicare Part B is like Medicare Part A in that your enrollment in benefits are automatic. Like Medicare Part A, if you are not enrolled automatically you will need to enroll in Medicare Part B when you become eligible. If you choose not to enroll in Part B when you are first eligible you will be charged a late enrollment penalty for the entirety of your coverage. The penalty has the potential to increase by 10% for every year you did not sign up but were eligible to do so. Medicare Plan D, also known as prescription drug coverage, is one plan that you will not automatically be enrolled in. It is encouraged that you enroll in prescription drug coverage with in the enrollment period. If you do not and you are not enrolled in any other prescription coverage the penalty you pay multiplies 1% of the “national base beneficiary premium” times the number of months that you have not had prescription drug coverage. The premium is rounded to the nearest ten cents. If you qualify for a Special Enrollment Period, you may avoid the late penalty for Medicare Part A and B. This special enrollment period occurs when seniors are still working at 65 and delay enrolling in coverage. The same is true as well if you are covered under your spouse’s medical insurance.